Pack ahead of time; make sure you pack the items you don’t need to use during the move as early as possible (these include ornaments, some of your clothes, books etc). Carefully label every box. Make sure that you accurately label every box to make unpacking and finding items as easy as possible (tip: use stickers or colourful tape to indicate which boxes belong to which room e.g. red tape = kitchen goods). Wrap all fragile goods carefully! During a house move your boxes will be moved a number of times and often stacked on top of each other, so make sure to use plenty of packaging to prevent any breakages. If you’re not already stocked up then you can pick up your packaging supplies from us! Submit your self-storage contact form today to receive our 12 Top Packing Tips! When it comes to tips for moving house, this one is not to be overlooked! Moving house stress – it’s real and it’s likely to hit you if you don’t plan your house move step-by-step. If you leave everything to the last minute then you will likely end up rushing around in an effort to get everything ready in time. In fact, for some, moving house is so stressful that even with plenty of time you may still end up rushing as you are trying to manage work, family, pets, friends, and more on top of the move! Whether you have months or weeks until your move, try to remain calm and composed at all times – this will give you a clear head, clear thinking, and a clear solution to any problems. Unless you’re one of the lucky few that are able to time moving out of their old home and into their new house perfectly, then chances are you’re going to have a period of time in which you’re between houses. This may be a day or two, but for some it can be up to a month or more! If you find yourself in this situation then the big question is this; what do you do with all of your furniture? This is where we can help! As one of the leading providers of safe and secure storage units in London we’re able to help you store your furniture until you’re ready to move into your fantastic new home. We have self-storage units in Islington and self-storage units in Bayswater, so make sure to contact our team to find out more about how we can support you during your move. As we mentioned above, be proactive with your packing and make sure it’s scheduled and planned out plenty of time before the move takes place. Try to time your packing schedule so that you complete your packing of essentials just before you vacate your current home for the last time. If you are using self-storage for your house move then make sure to time your furniture removals so that you aren’t rushing around at the last minute trying to source a van or removals company to empty your house. If you leave this too late then you risk paying more than you have to for a speedy removal, so make sure that you begin emptying your house ahead of time to make sure that you are well prepared. So you’re storing your boxed items and furniture in a self-storage unit and you’ve just got the keys to your new house, what now? You could empty your storage unit in one day and fill your house with everything that you own; or you could do this room by room over the course of a number of days/weeks (depending on how much time you have) so that you can allocate time to placing your furniture and items exactly where you want them. The last thing that you want is a house full of furniture and boxes that need to be organised, but you don’t have the space to do so! 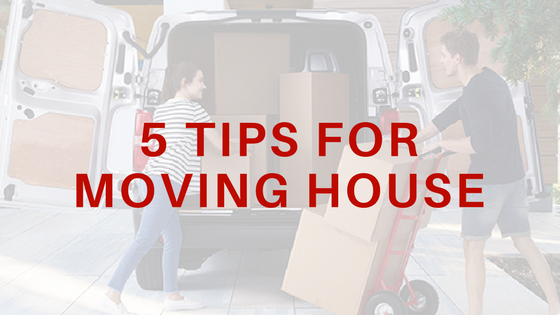 This is one of the most important tips for moving house. 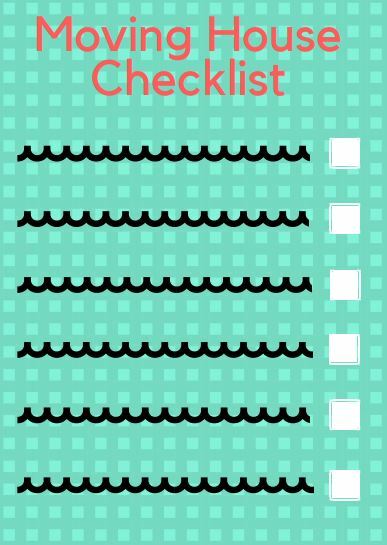 A house-move checklist is a great way to keep yourself on track. Make your own moving house organiser in the form of a folder, a to-do list, a series of notes, or whatever works best for you. List everything from packing, removals, planning the move, emptying your storage unit, and anything else that you can think of that you will need to remember to complete for a successful house move! We recommend doing this before your begin preparing for your move to make sure that you don’t forget anything important. If you would like more information on how Metro Storage can help you with any and all of your storage or packaging needs then contact our team on 0800 999 5881 or enquiries@metro-storage.co.uk.